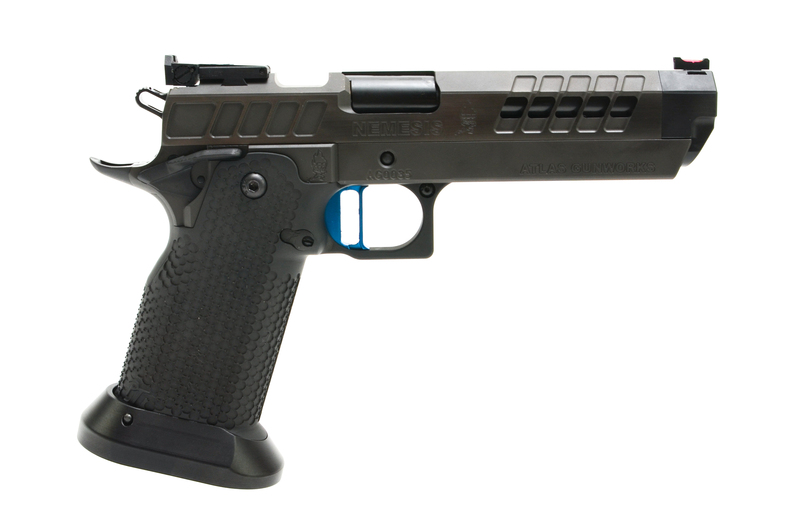 North Ferrisburgh, VT – Atlas Gunworks has announced the ultimate competition pistol designed for USPSA Limited Division shooters. 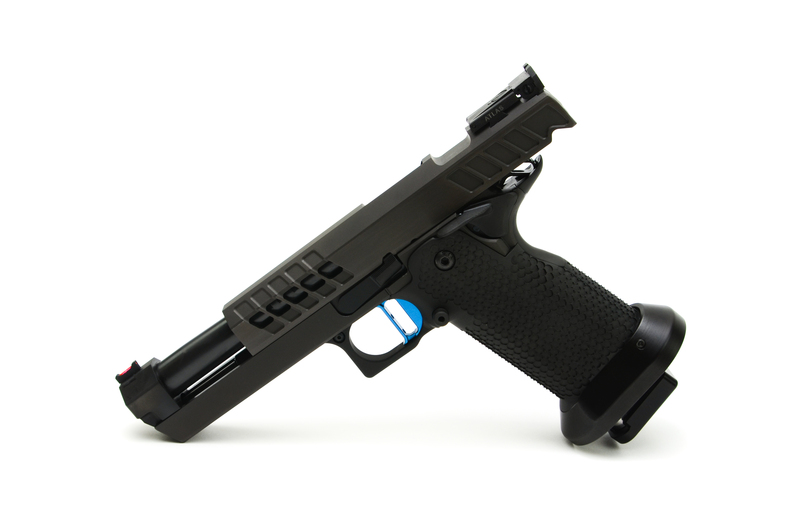 The Nemesis double-stack .40 caliber pistol provides shooters with a distinct advantage over those using traditional guns. 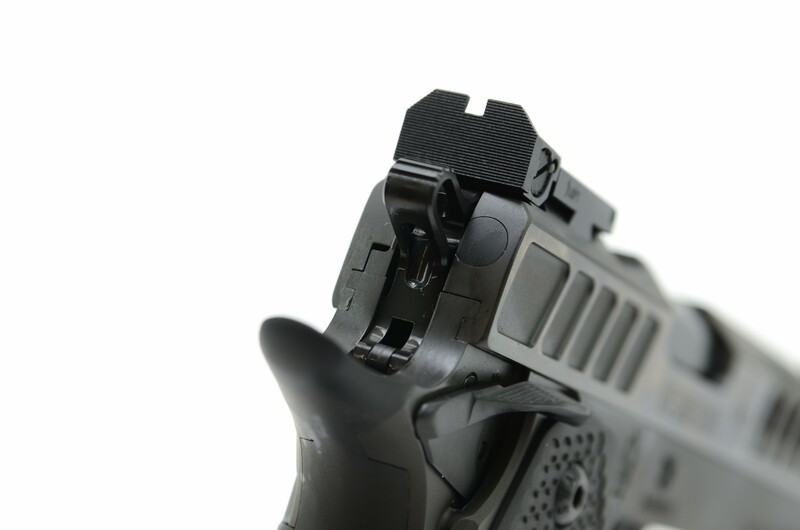 The Nemesis’ unique feature is a fixed front sight block. 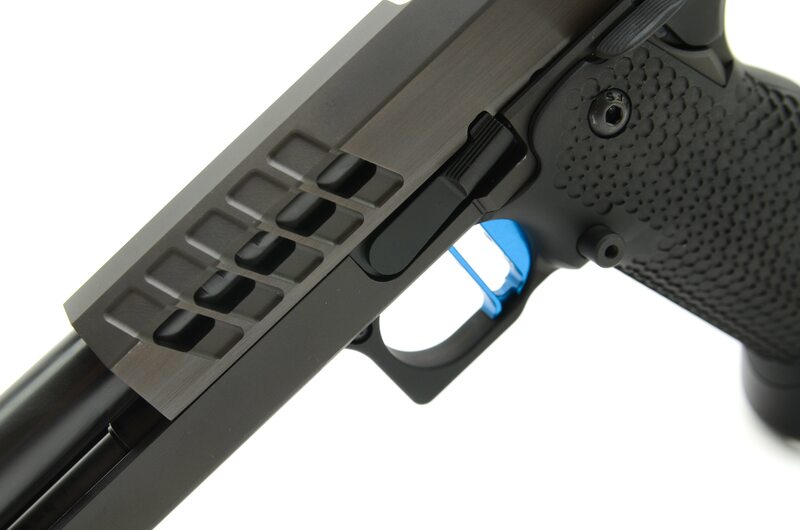 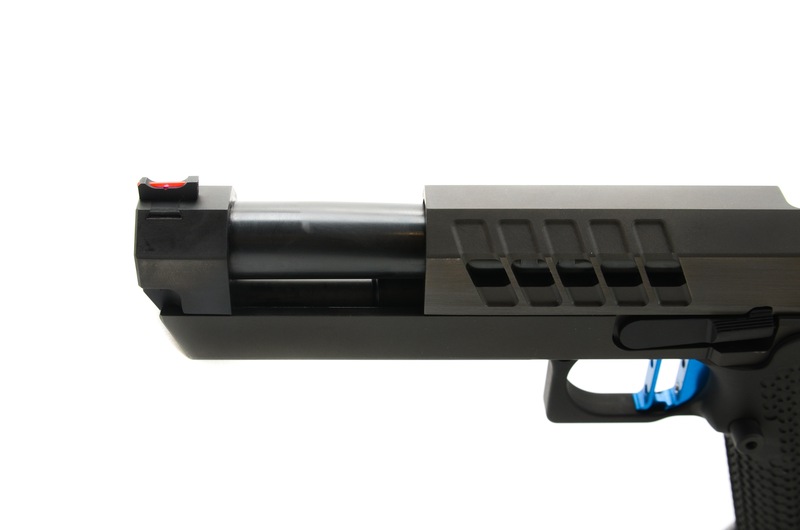 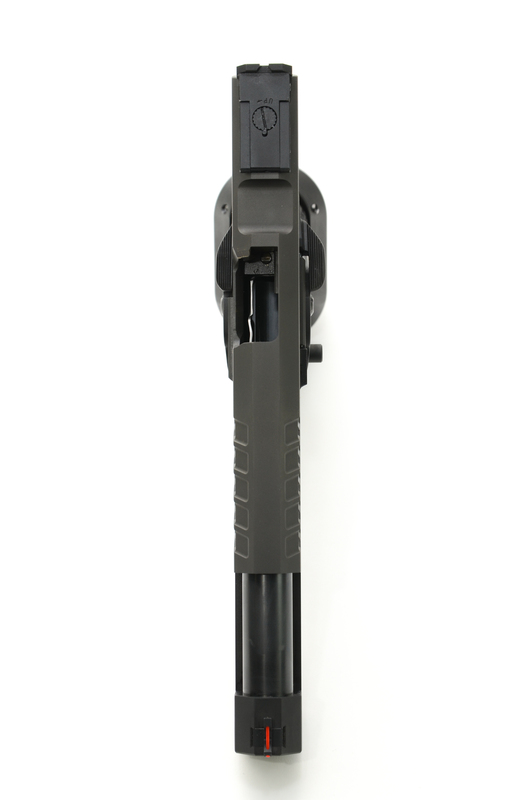 This block delivers the benefits of a shorter lightened slide, less reciprocating mass, improved balance point, additional weight at the end of the barrel, and a front sight that doesn’t move with the slide. 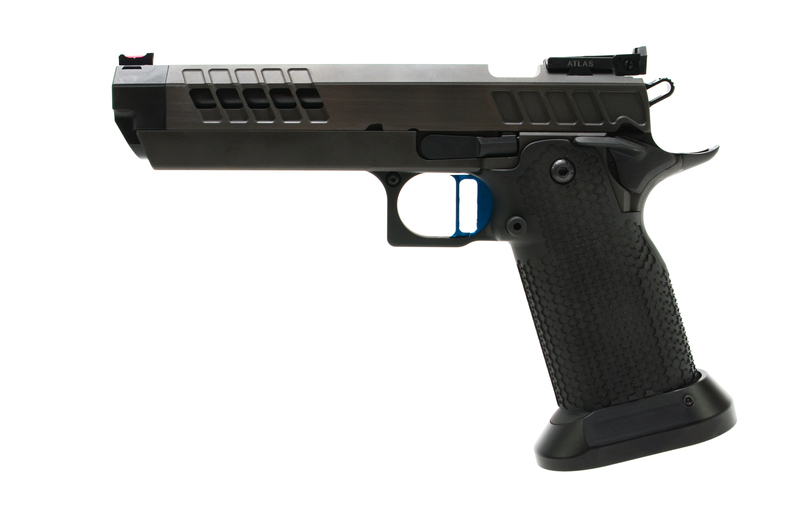 “The Nemesis truly is an amazing pistol for Limited shooters. 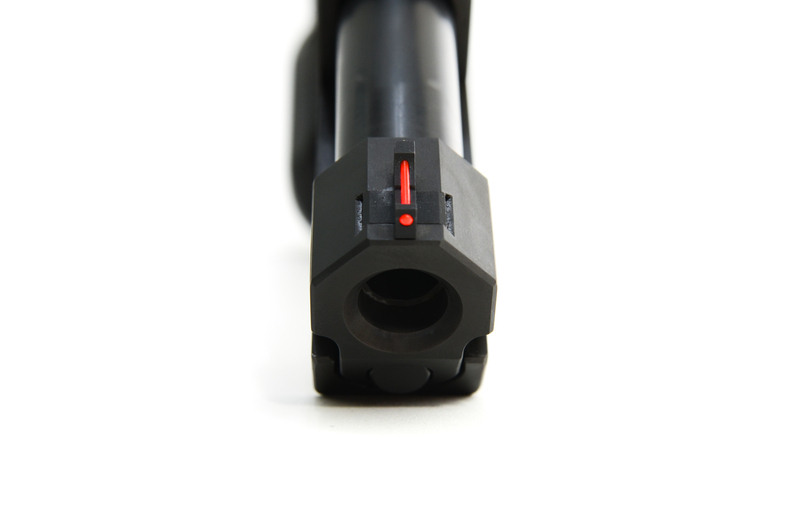 Recoil is softer and flatter than traditional guns allowing the gun to return to true zero. 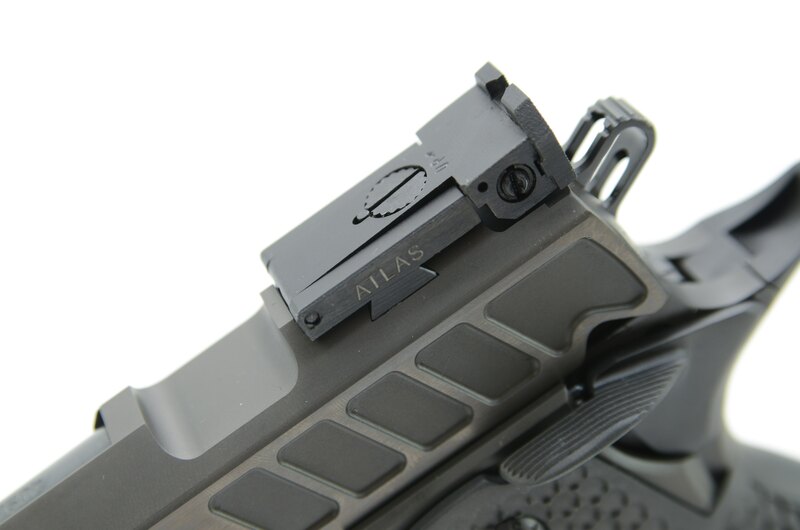 The sight system allows for faster shooting and follow up shots that are always closer to true zero,” said Atlas President Adam Nislon. 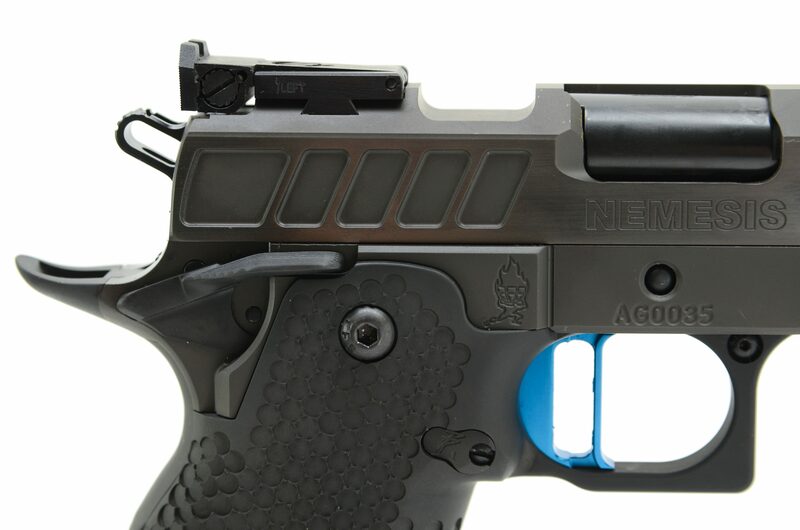 The Nemesis shares the features of other Atlas guns including a tri-top and lightened slide, PT EVO grip, X-Line Vario trigger, KKM 5” bull barrel, flared ejection port and competition magwells. 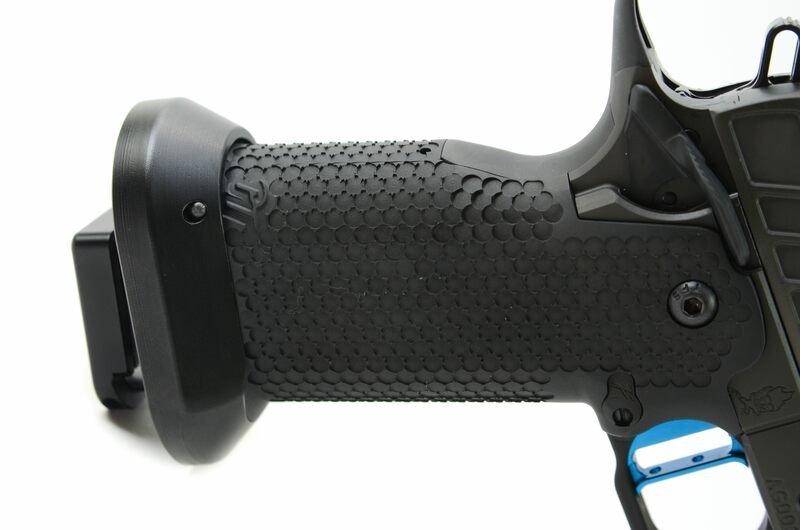 A super-hard DLC coating is standard. 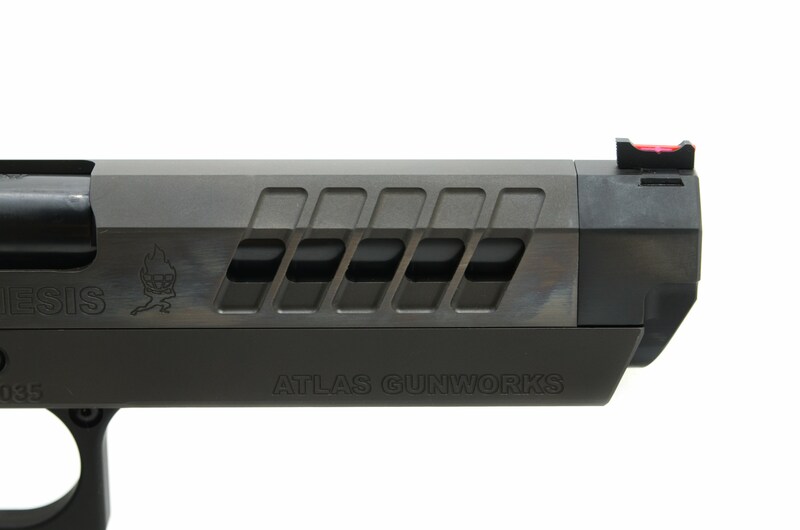 Staying true to their commitment to short wait times, the Atlas Gunworks Nemesis ships in less than 3 months. 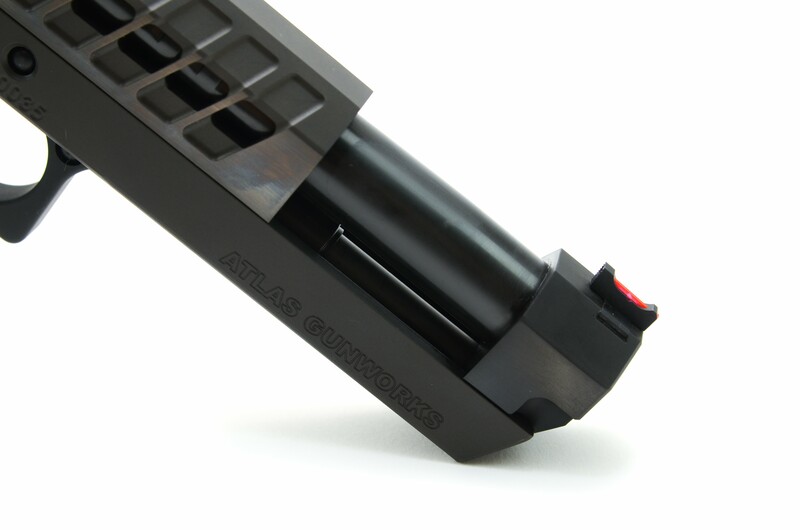 For more information visit http://atlasgunworks.com/atlas-nemesis-sight-block/ or call 855-940-1911. 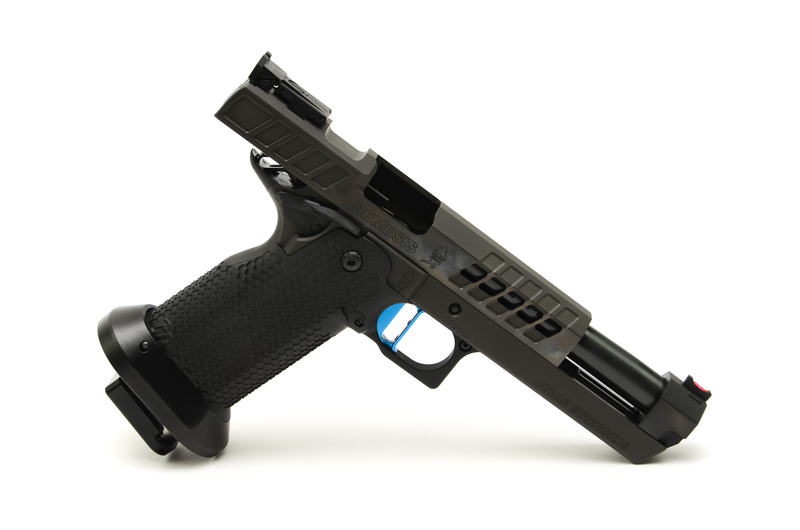 Atlas Gunworks is the country’s fastest growing custom gun builder. 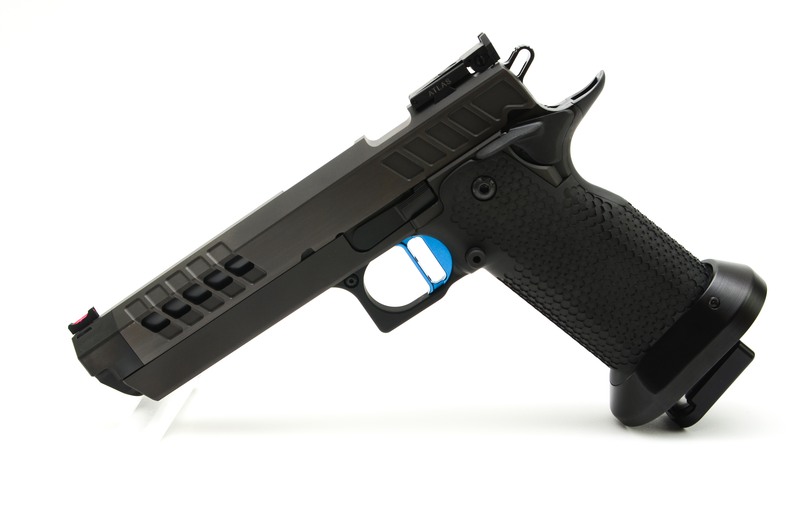 Located in North Ferrisburgh, Vermont, they specialize in ultra-premium double and single stack 1911 style pistols. 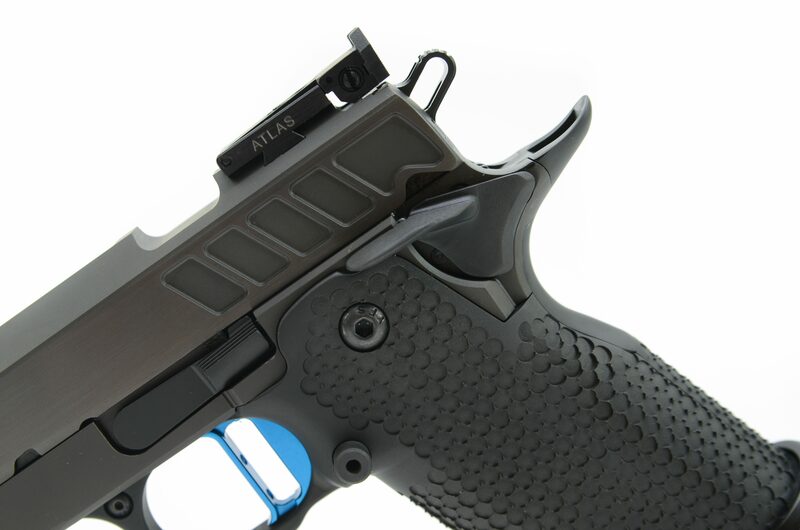 Atlas builds guns for shooters serious about winning, whether it’s winning a USPSA, IDPA, or 3-Gun competition or winning an encounter in a dark alley. 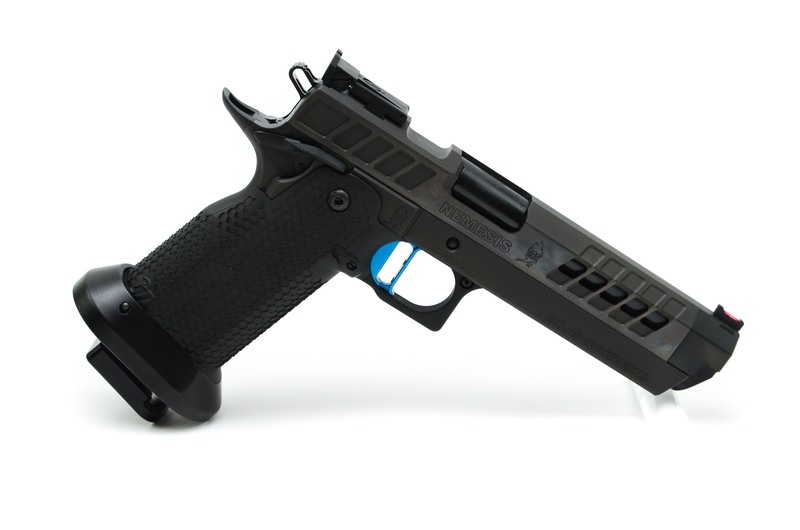 Unheard of in the custom gun market, they are committed to shipping most models in less than three months.